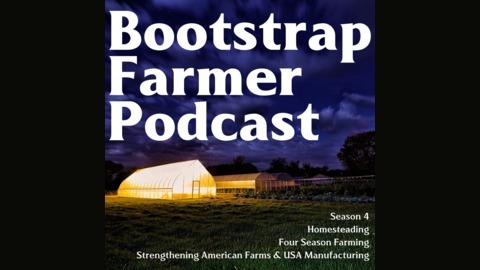 Bootstrap Farmer Radio is a podcast discussing how to break into the modern business of agriculture on a bootstrap budget & education. The internet is making more connections and distributing knowledge in a way that makes it accessible for us all. 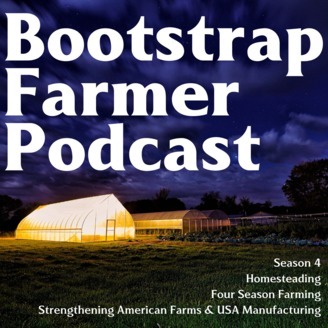 Our focus isn't mega-greenhouses with million dollar machinery, instead, we talk about low-cost, versatile and adaptable green businesses that can sustain a family through the best and worst of times. We find the small farmers running profitable farm businesses and find out their keys to success. This week we sat down with CJ Vaughn, who recently began his farm after leaving the grind of an executive office position. Making the jump to someday starting a farm business to day one is often the hardest parts and we wanted to capture those moments while they were fresh.